Link: Video: What's stopping synagogue construction in East Boca? WASHINGTON, D.C. – Rabbi Ruvi New, head of the Chabad of East Boca Raton, Florida, today discussed Gagliardi v. The City of Boca Raton, the lawsuit that was a part of his congregation’s 10-year battle to build a house of worship, at the U.S. Department of Justice event Religious Liberty: Our First Freedom and Why it Matters. The event highlighted diverse perspectives on religious liberty as experienced by Americans today, including opening remarks by Attorney General Jeff Sessions and addresses by Archbishop Joseph E. Kurtz of the Archdiocese of Louisville and Senator James Lankford of Oklahoma. (Watch footage here). 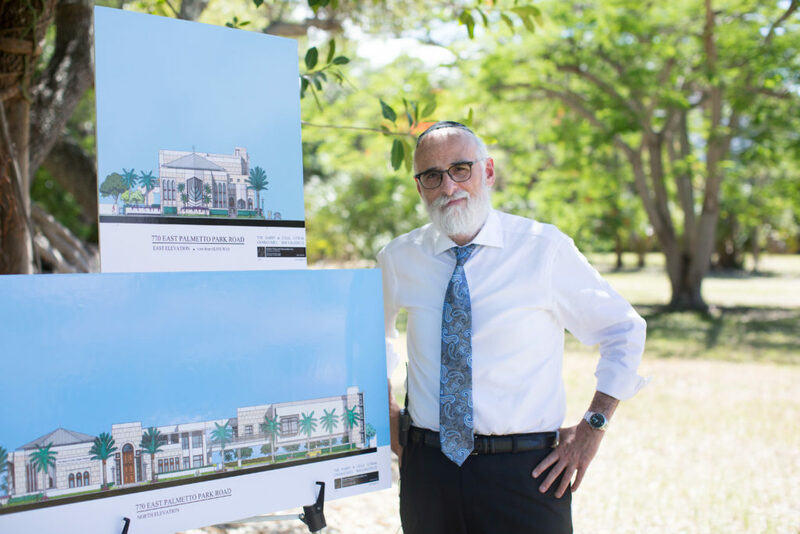 Rabbi New is the lead rabbi of Chabad of East Boca, an Orthodox Jewish synagogue in Florida that for over ten years faced hostile, well-financed opposition to its plans to build a new house of worship, some of which was driven by admitted anti-Semitism (watch this 4-minute video about the Chabad’s story). After the building was unanimously approved by the City in 2015, two landowners filed a lawsuit in federal court to prevent construction, bizarrely claiming that allowing a synagogue equal rights to build violated the Establishment Clause. They also claimed that building the two-story synagogue would cause “inevitable” floods and prevent emergency vehicles from accessing the area – even though the area is already surrounded by 22-story condos and several strip malls. Becket represented the Chabad in court, defeating the lawsuit twice in the district court and again on appeal earlier this year. While the overwhelming majority of the community supports the Chabad’s right to build, the Chabad still faces opposition to its efforts to build a permanent home.